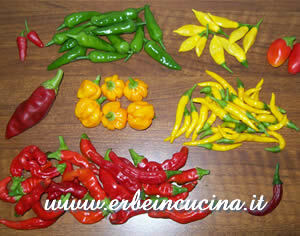 Chilies can be harvested all autumn long if the weather is good. 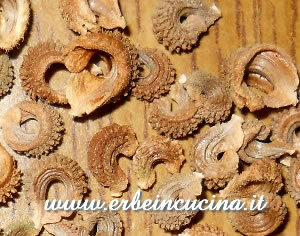 They will produce smaller and milder pods than summer harvest. 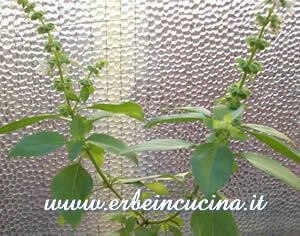 Traditional basil died in september, but many harder variety are still producing as the cinnamon basil in the picture, or the thai basil. All varieties of mint and balm, kissed by the rain, are producing new fresh leaves that can be harvested and dried. Marjoram can be harvested too. 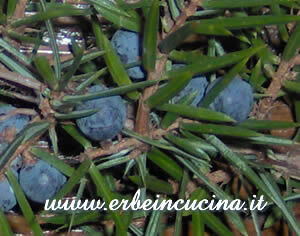 Better do not harvest: sage, chives, winter savory, oreganon, parsley, tarragon, chrysantemium. Many aromatich herbs and greens sowed in september are ready to be harvested, like chervil that can be harvested after a few weeks, or like pak choi and tatsoi in the picture. I harvested a few leaves from the lettuce transplanted plants too. 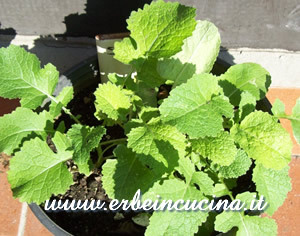 Black mustard sowed in september can be harvested too. 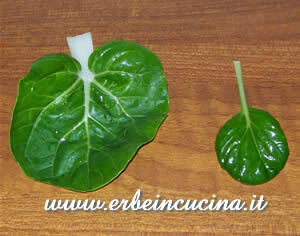 Leaves are a bit harder that spring ones, as for dandelion, and it's better to cook them. In October you should harvest the seeds for the next year (if you didn't already): Welsh onion, garlic chives (nira), wild garlic, holly, betonic, borago, marygold, safflower, calamint, white and black mustard, tansy, dandelion. 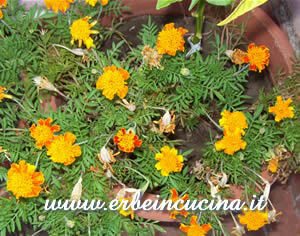 My French Marigold is producing seeds and the last flowers. They aren't edible but I'm harvesting them for a pout-pourri. Seasonal herbs and spices: Burnet, chervil, chives garlic, cilantro, cress, dill, horseradish, lemon grass, licorice, mint, mustard, nettle, parsley, savory, sorrel. Seasonal Vegetables: Artichokes, aubergines, beans, beetroots, broccolis, cabbage, carrots, cauliflower, celery, celery knob, chards, chicory, endive, fennel, leek, lettuce, onions, peppers, pumpkin, radicchio, radishes, rocket, savoy, scorzonera, spinach, Swiss chard, tomato, turnips. Seasonal Fruits: Alkekengis, almonds, ananas, apples, avocado, bananas, blackberries, carobs, chestnuts, grape, hazelnuts, lemons, peaches, pears, persimmons, plums, pomegranates, prickly pear, quinces, walnuts. Thanks for all of the info about which fruits are seasonal in October! I love reading about produce and what grows when. It helps me figure out what I should or shouldn t buy if I want to eat in season. Hey Joanne you read the post before I translated it from italian only... You re really resourceful! I m planning to publish these harvest post monthly, I m glad you enjoyed it.